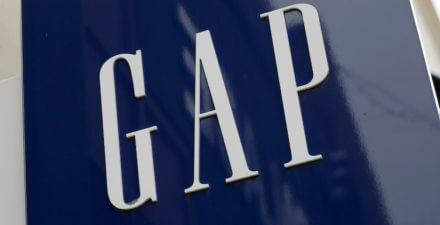 In research published last week in the American Sociological Review, sociologists Daniel Schneider at the University of California, Berkeley and Kristen Harknett at UC San Francisco use a unique dataset to show striking links between the quality of schedules for retail workers and their corresponding level of psychological distress, happiness, and sleep quality. 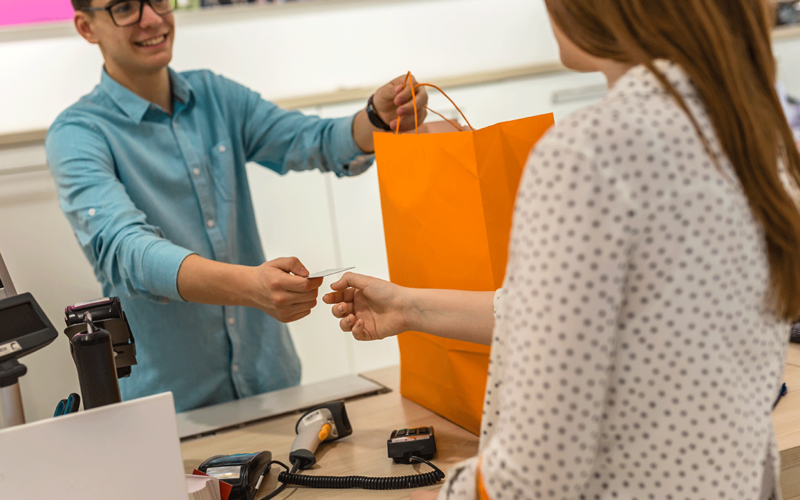 Over the past decade, journalists and academics have examined retail workers’ daily and weekly schedules, documenting low levels of stability and predictability. Researchers have shown that improving schedule quality along these dimensions can grow employer profits and may strengthen the economy as a whole. These scheduling practices are thought to be relatively new and partly attributable to recently developed scheduling software. This new software takes into account product shipments, customer traffic, and even weather when setting and modifying worker schedules. But Schneider and Harknett argue that these new scheduling practices are not the inevitable consequence of technological change. Rather, employers are using scheduling technology as a tool when they engage in a well-documented phenomenon in the labor market called “risk shifting.” Since the 1970s, as worker bargaining power has weakened and American ideas about individual responsibility have changed, employers have increasingly shifted economic risk from business owners and shareholders to workers. 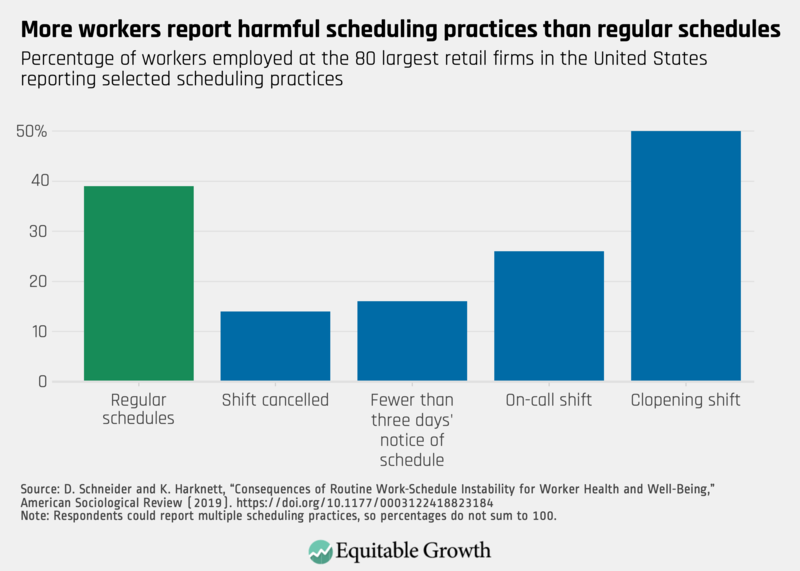 This “risk” is often thought of as changes to worker compensation and job security, but Schneider and Harknett make a compelling case that changes in scheduling practices also are a key dimension of risk shifting. Today, employees’ schedules are highly responsive to employers’ perceptions of the ebbs and flows of consumer demand. As a result, their schedules are irregular and unpredictable. When employers treat workers as widgets to be used or discarded erratically, what are the consequences for worker well-being? The second major contribution of Schneider and Harknett’s study is a preliminary answer to this question. The authors fielded a survey with a clever sampling frame—people who list one of the 80 largest retailers as their employer on their Facebook profile (this paper explains their method)—and find some striking associations. 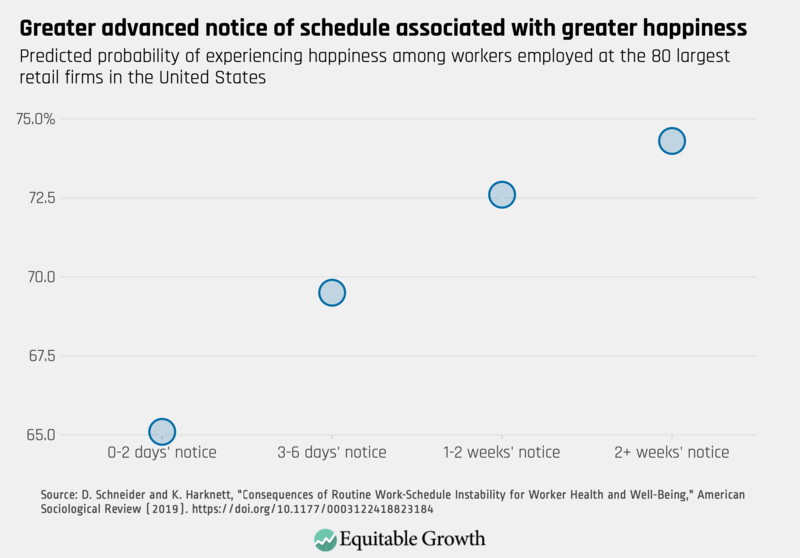 The two sociologists use models that employ a rich set of controls among a fairly homogenous group of workers to show that scheduling practices affect psychological distress. They find that after adjusting for differences in demographic and work characteristics, a worker who does not have a shift cancelled has a 45 percent chance of experiencing distress, but for workers whose shifts are cancelled, the predicted probability of experiencing distress jumps to 65 percent. 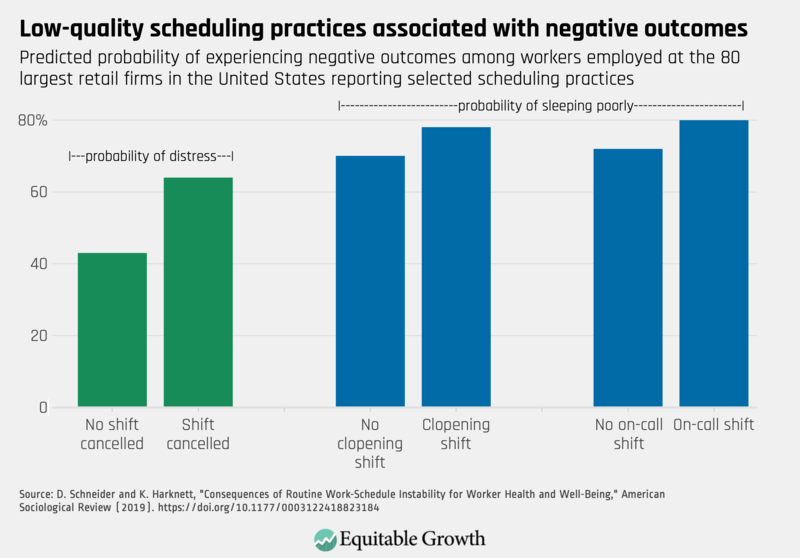 The persistence of these associations across measures of schedule quality suggests that the stress of an erratic schedule is keeping retail workers up at night. Because these numbers are associations, the authors can’t say precisely whether bad schedules caused bad outcomes, or whether employers gave worse schedules to workers who were already unhappy or who were generally poor sleepers. I’m looking forward to the next stage of this work, which will make stronger causal inferences by using longitudinal data and exploiting changes to laws and company practices. Yet it seems extremely plausible, given the evidence in their paper that causality is flowing in the expected direction—when a worker is faced with a poor-quality schedule, their health and well-being suffers. After all, their sample is a pool of relatively similar workers, the frequency of these scheduling practices is high, and the magnitudes of the associations are responsive to the dosage of the scheduling practices. Indeed, one key point that should not be overlooked is the size of the associations. Even after controlling for job tenure, usual hours worked per week, manager status, and demographic characteristics, working an on-call shift is associated with a 9.2 percentage point decrease in the probability that a worker will report feeling happiness. That’s large! Of course, it can be challenging to interpret magnitudes in the abstract. Harknett and Schneider provide a helpful benchmark for interpreting the numbers they share—changes in well-being associated with increased wages. It’s common sense that when you put more dollars in low-wage workers’ pockets, they will feel less stress and more happiness. And indeed, the researchers uncover the expected association: Moving from making $7.25 an hour to $11.25 an hour is associated with being 1.4 percentage points more likely to experience happiness. But that association is dwarfed in magnitude by the associations with schedule quality—avoiding a shift cancellation is associated with being 16.9 percentage points more likely to experience happiness. Why could this be? One explanation has to do with the character of the change. For most workers in the United States, $11.25 an hour is not a living wage. A wage increase that leaves a worker below a living wage leaves her basic needs unmet. A working mother, for example, may now be able to pay for gas (a huge relief!) but still struggle to pay for childcare. The worker’s situation has changed in degree, but not in its fundamental character. In contrast, a real substantive shift occurs when workers move from a situation characterized by uncertainty to a situation characterized by certainty. When workers do not know what their schedule will be, they cannot plan out their time to accommodate school attendance, second-job holding, or family obligations. 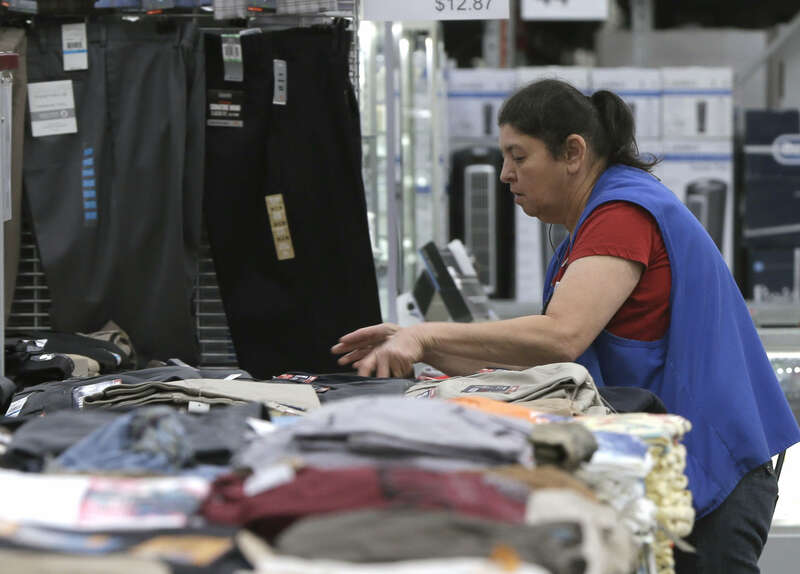 Hourly workers are also unable to plan out budgets in advance when their schedules are uncertain. Stable, predictable schedules allow for the certainty that allows workers to control their time and their finances. Another way of thinking about the magnitude of these changes is to think about where the bar is set now and where it could move. When it comes to the quality of workers’ schedules, the current floor is incredibly low. Small tweaks to schedules can raise the bar to, in fact, be quite high. Harknett and Schneider find that simply posting a schedule a week or two in advance reduces the probability that a worker will experience psychological distress by 8 percentage points. For employers and policymakers who hope to affect workers’ well-being, changing the way schedules are set is low-hanging fruit. Indeed, cities and states are increasingly seeing the value in requiring employers to raise the floor on schedule quality. New York City, San Francisco, Seattle, Philadelphia, Emeryville, California, and the state of Oregon have all passed legislation designed to provide workers with more predictable schedules. We know that such changes can boost employer profits, and Schneider and Harknett’s study shows that these laws are also likely to improve worker well-being, which would help workers to be more productive at work and better able to devote time and attention to their children at home. Policymakers in jurisdictions considering scheduling legislation should take note of the promise held by these small tweaks that pay large dividends in the form of worker well-being, labor market productivity, and the human capital of the next generation.